Hey Everyone. As some of you know I am a proponent of solid core cabling. 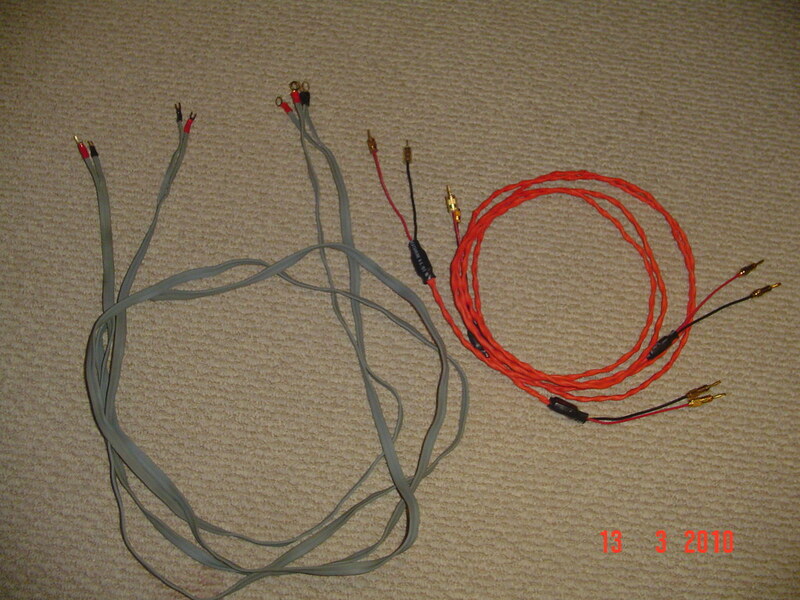 I have been making my own cables for some time now with great success. My design is ever changing but I think the current one is a winner. John Micheal has sent me some Audioquest F16 Hyprlitz. Fantastic stuff. I forgot to photograph the exposed cable before terminating but what we have here is straightforward. 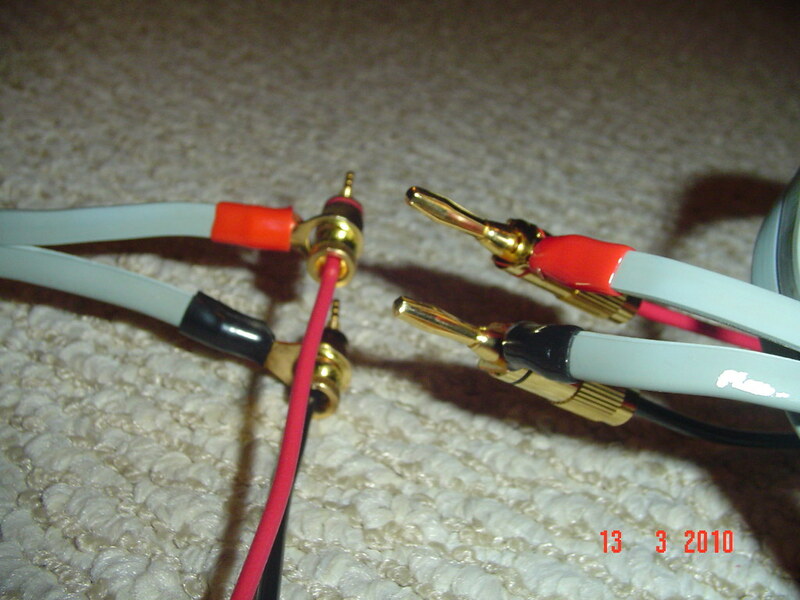 Three individual strands of 26AWG solid core copper for each speaker. As a result, the jacket is flat so that each strand does not touch the other. At each end, I have twisted all 3 and terminated. John had suggested that the AQ excelled in mid and high delivery and after some listening, I would agree. Not too shabby in the bass dept either. 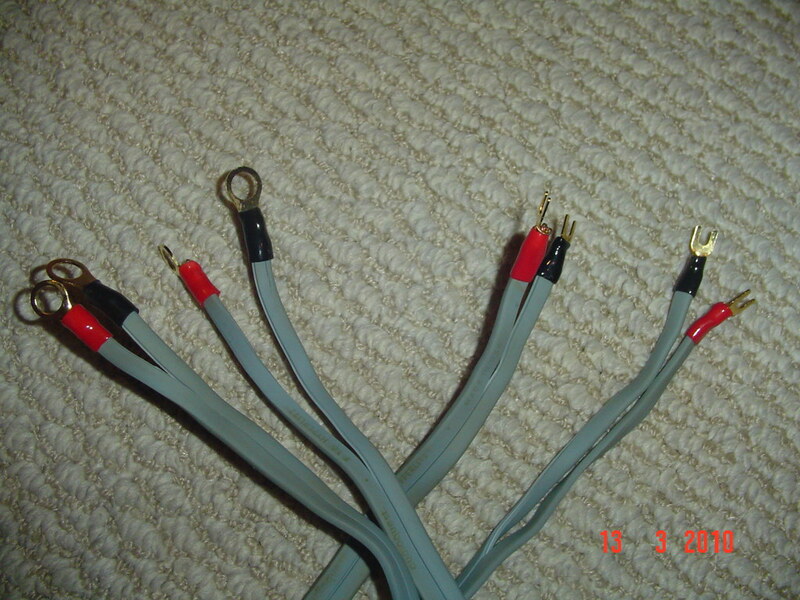 The DIY cables I have made are 14AWG solid core copper. Each strand has a thin insulation. I have twisted them from end to end and put each length into a jacket. Gold termination at each end. Using gold spade and hoop connectors, I have attached the AQ to the DIY cables. Everything is in phase and working correctly. Today I will do some critical listening, to try and get to the bottom of this combo's sound. Looks very interesting and between the bass of your cables and the mids and highs of the AQ should be a winning combo. I am anxious to read your impressions. 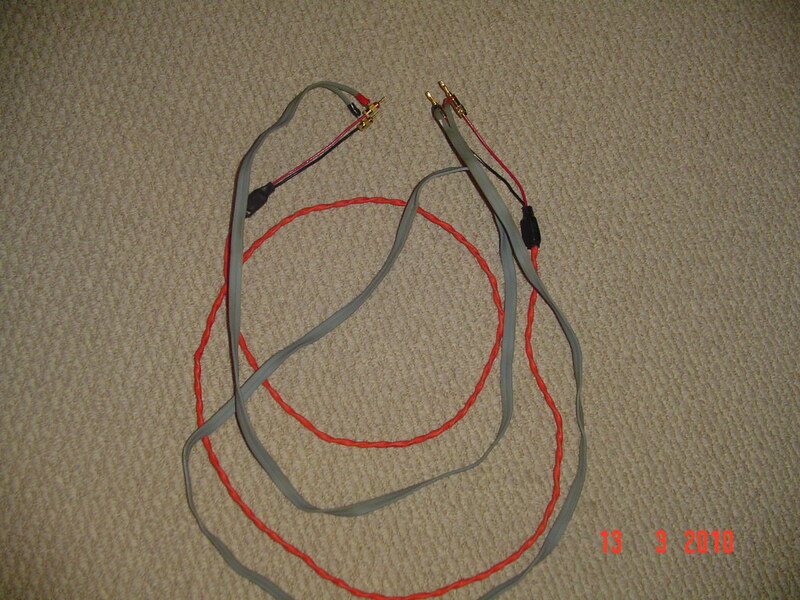 Why ruin a perfectly good Audioquest cable? Are you going to try solid silver cables? Granted silver is a lot more expensive but if you keep the runs quite short it shouldn't be outrageous. 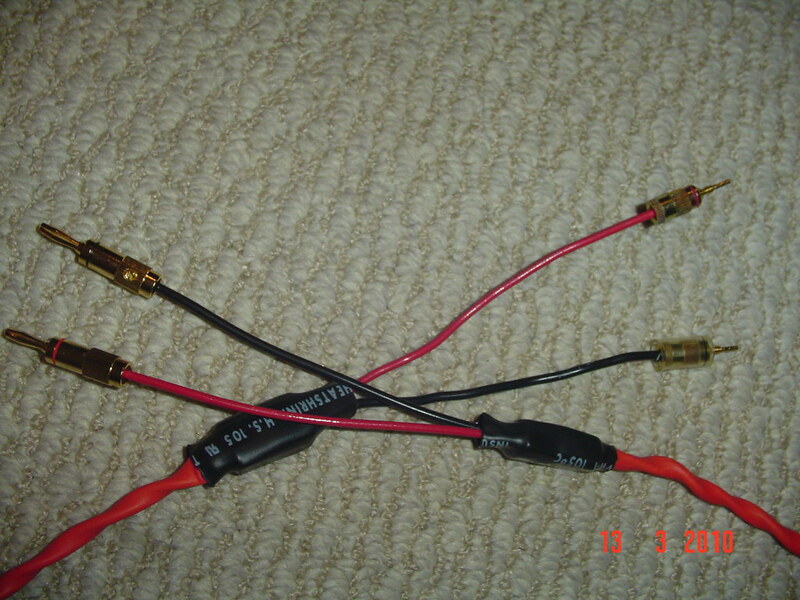 Other question: Is the main orangy-red jacket on your own cables heat shrink?